Christmas is coming and we have just launched our 2016 seasonal pages here at The Sloaney. Over the coming weeks we will be previewing all the best festive fun for the holiday season, including restaurant menus, gifts, decorations, beauty treatments, events and much more! 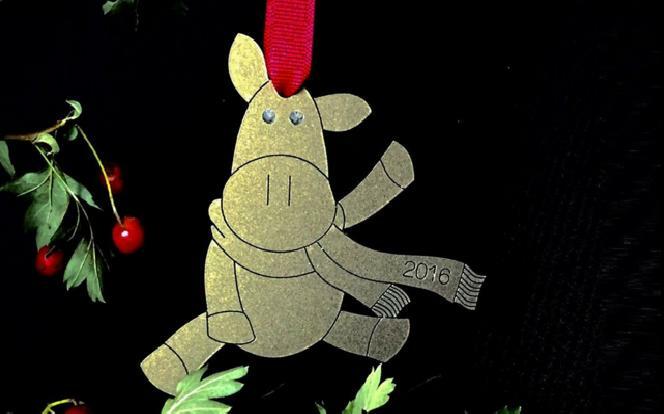 One thing we are really looking forward to this year is the launch of the Willberry Wonder Pony Christmas Tree decorations. This wonderful charity was started by the late Hannah Francis who was diagnosed with aggressive bone cancer in 2015 at the age of 17. She continued riding through her treatment and was aided by her mascot toy pony, Willberry Wonder Pony. She amazed the equestrian community and people all over the world with her determination and even represented our country during her illness. While fighting cancer she also dedicated time to helping people in her position in the future. This is how the Willberry Wonder Pony Charity began. It funds bone cancer research and grants equine related wishes to seriously ill people. Although Hannah sadly passed away in August 2016, her legacy is very much alive. You can buy lots of merchandise that will help raise vital funds for the charity and we definitely think every Christmas tree needs one of these adorable ponies! Find out more about the charity at www.willberrywonderpony.org. The Willberry Wonder Pony decorations will be available from the beginning of November from www.hanrose.co.uk.